The emptying vehicle visits less often in the yard of a Molok customer. The cosiness and safety of the yard improves and the emissions decrease. Together with the Tampere University of Technology work on a master's degree thesis * collected the emptying data of app. 8,000 deep collection-containers and 25,000 surface containers. 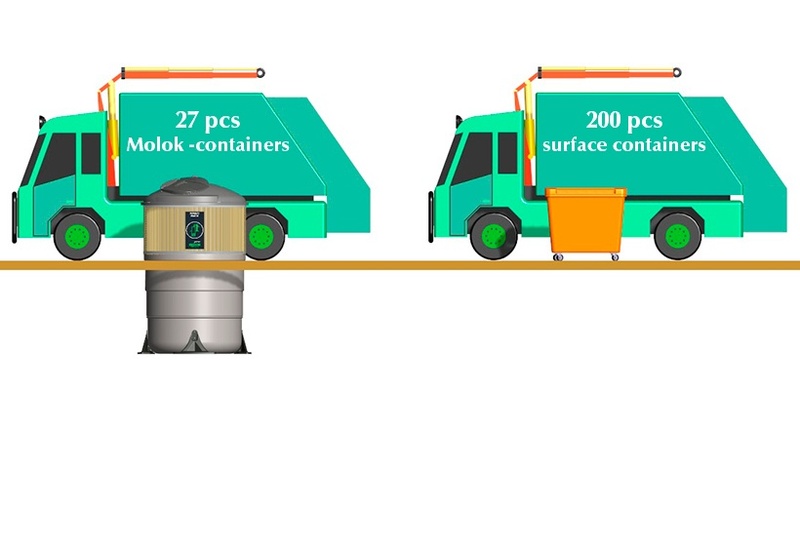 According the research, collecting of equivalent amount of waste required 80 % less container emptyings with Deep Collection method compared to surface collection. * Rahkonen, J. 2015. 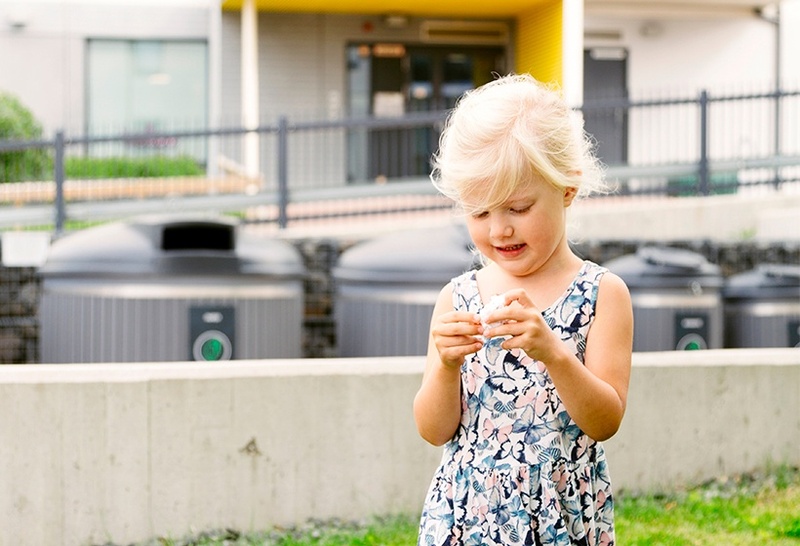 The assessment of environmental and cost impact for mixed waste collection methods. Master's Thesis, Tampere University of Technology. 71 p.
For the same amount of waste collected, deep collection emptying requirements are about 80% less*. Because emptying is less frequent with deep collection there is less heavy vehicle traffic. This improves the safety of the yard. Deep collection container emptying is mechanized. There is no need for the manual dragging of heavy surface bins. Manual dragging is also impeded by kerbs, uneven ground and snow. 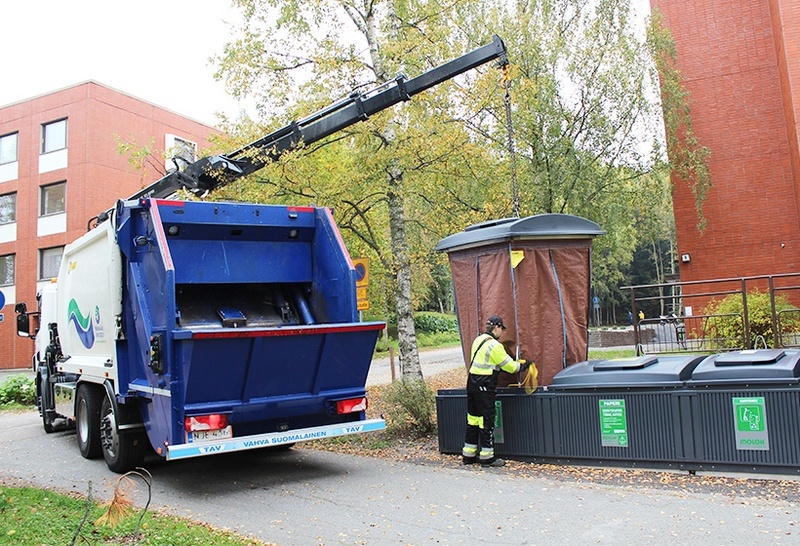 In an Institute of Occupational Health study**, 40% of drivers reported that the transfer of waste bins cause dangerous situations on a weekly basis or more frequently. The high-capacity deep collection container makes overfilling a rare occurance. In this case, overflowing waste does not pose a safety risk.